This summer, I was training for several races, the longest of which was a half-marathon. I found this picture in the spring and referred to it a lot. It brought me around when I thought of stopping, when my training fell apart, when the heat was overwhelming. How can I tell my daughters not to give up when I wanted to give up? 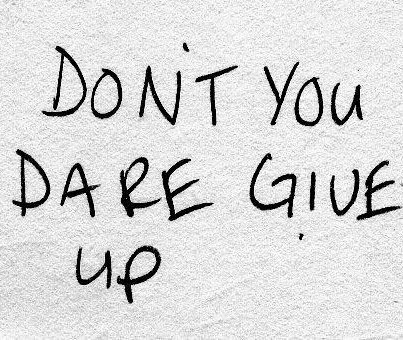 It doesn’t matter what you are up against…if it’s just a Monday, if it’s financial difficulties, a job situation (or lack thereof), a bad run or workout, or just a bad morning with your spouse/significant other/kids…don’t give up. Keep going – just one foot in front of the other.